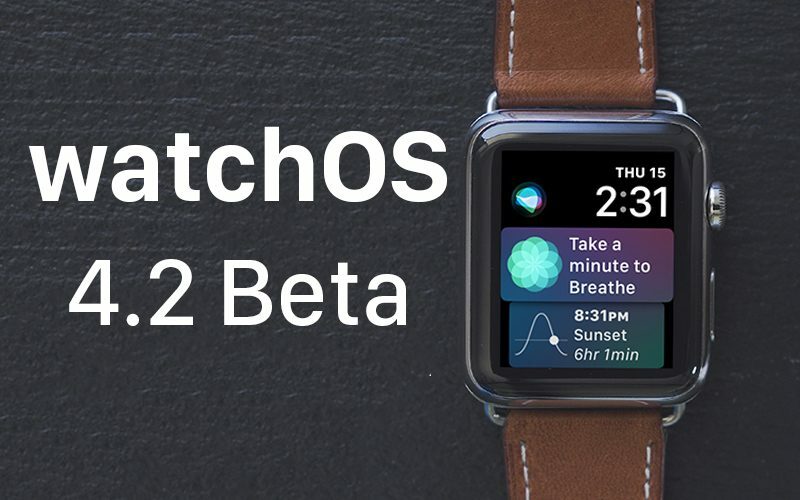 Apple today seeded the second beta of an upcoming watchOS 4.2 update to developers for testing purposes, one week after releasing the first watchOS 4.2 beta and a little under a week after releasing the watchOS 4.1 update. Once the proper configuration profile has been installed from the Apple Developer Center, the new watchOS 4.2 beta can be downloaded through the dedicated Apple Watch app on the iPhone by going to General --> Software update. watchOS 4.2 appears to focus primarily on under-the-hood bug fixes and security updates. No major outward-facing changes were found in the first beta, but should new features be found in the second beta, we'll update this post. Let's see if they bring back the most primary feature I've used on this series 0 watch....... Browse & initiate playback of iphone stored music libraries / playlists. Couldn't agree more. Apple doesn't really seem to care about the actual user. The only reason I can see for taking away the feature is because they want to sell more Apple Music subscriptions. I won't be one of them. I buy vinyl and download the music. Apple couldn't care about people like me. They also don't realize how the ability to control the iphone music while driving was such a useful feature. I don't trust Apple anymore. What will they take away next? Maybe it will be the ability to tell time on the watch since that doesn't provide any revenue like streaming or apple pay. I'll be looking at Android phones and devices next time. I would just like some optimization tweaks to make my five month old Series 2 as responsive as it was with OS3!